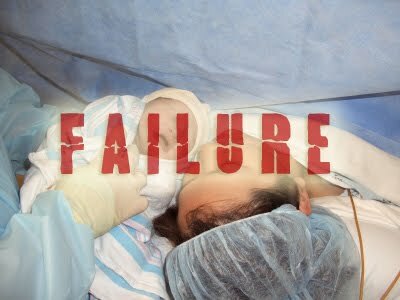 You are here: Home > Is there any limit to what midwives will do to demonize C-sections? Is there any limit to what midwives will do to demonize C-sections? I’ve written many times before that midwives have a problem. The scientific evidence does not support their cult like belief in the superiority of “normal” aka “physiologic” birth. One of the ways that midwives have attempted to fight back against the unfortunate fact that much of what they believe is contradicted by science is to misappropriate science that they utterly fail to understand. That’s what midwife Soo Downe did in her hilarious attempt to hijack quantum mechanics for her own purposes. Now Downe is back trying to misappropriate epigenetics. She and other midwives, who have neither training in nor understanding of epigenetics, are trying to hijack it to claim … C-sections alter newborn DNA. For many nurses and midwives, it’s about time the medical community focused on the potential environmental markers a C-section could impart on a child’s genome. In January, 11 women from the US, the UK and Australia gathered in Hawaii for a panel investigating the epigenetics of birth. What is epigenetics and is there any reason to believe that newborn DNA is changed by C-section? In the 1800s, Overkalix’s residents depended heavily on farmers. Pembrey and his colleagues had access to records about the community’s feasts, famines and death certificates, and pieced together data for a landmark 2006 study: If a grandfather lived during a famine, his grandson was four times as likely to die of diabetes than if he lived during a time of plenty. Somehow, the grandfather’s genes were switched on or off, helping his body conserve calories — switches that were passed down to his grandson. If the grandson had access to too much food, he could get diabetes and die. There are several things to note about epigenetic events. They occur in response to major environmental stresses; they occur in response to stresses that last multiple years; they occur across populations, not necessarily in any specific individual from that population. So how does this apply to C-sections? It doesn’t, but that hasn’t stopped the same fools in the midwifery community who have attempted to misappropriate quantum mechanics to attempt to misappropriate epigenetics. Having a C-section, a group of nurses and midwives are now suggesting, could possibly be one of those twists. They are both eagerly and carefully launching studies to examine possible connections between C-sections and medical conditions. The idea is controversial, unproven and has many skeptics, but birth experts say that studying C-sections’ effects on infants and their descendents is an important question that requires experimental testing. Who are these midwives who have no training in genetics, epigenetics or basic scientific research?Their flyer reveals that they include usual suspects, Holly Powell Kennedy, Soo Down and Hannah Dahlen. They were all frustrated “that despite the research, political activism and efforts they and many others were putting in to increase the rate of normal birth, intervention during childbirth kept rising and arguments about safety and outcomes all had a short term focus,” she wrote in an email. Damn those obstetricians with the “short term” focus on whether babies live or die! Midwives reject that short term focus in favor of a long term focus: their own economic wellbeing and professional status. There is simply no question that interventions they do not know how to perform, including C-sections, dramatically decrease the importance and value of midwives. What do real scientists in the field of epigenetics have to say about the midwives’ desperate wish theory that C-sections alter newborn DNA? They dismiss the idea that the method of birth has any epigenetic impact. In other words, in addition to the fact that there is no data to support a claim that C-section alters newborn DNA, there is no reason to believe that it would. In other words, midwives are absolutely, positively, 100% certain that C-sections deserve to be demonized. There is no scientific evidence to support that belief, but they will just keep looking until they find it.